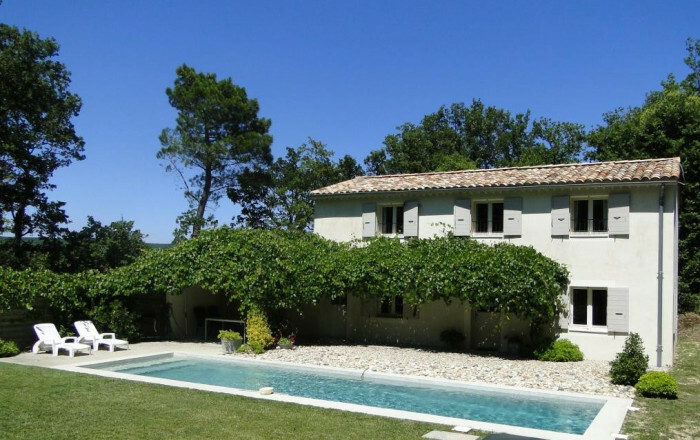 Delightful Provençal house, fully equipped for 5 people, in rural setting 2km from charming village of Chantemerle-les-Grignan. Wooded grounds. Décor combines natural and contemporary elements. Exclusive use of on-site swimming pool. Ground floor: kitchen, living room, WC. 1st floor: 3 bedrooms (double bed) (double bed) (120cm wide bed), shower room, separate WC. BBQ, sunbeds. Très beau gîte, magnifiques piscine et jardin. Les serviettes fournies sont trop petites et un peu usées et il n'y avait que 2 coussins de bains de soleil; le reste était très bien et les propriétaires très conciliants sur les horaires. This home really deserves recommendation: it is on a quiet yet not isolated location, the terrace, garden and pool are wonderful, the house is large, practical and has all the equipment one needs. The region is very nice; every village has its minor or major moument or attraction. We saw only two minor points of improvement: the comfort of the couch and the mattrass.